Please leave your desired ring size. 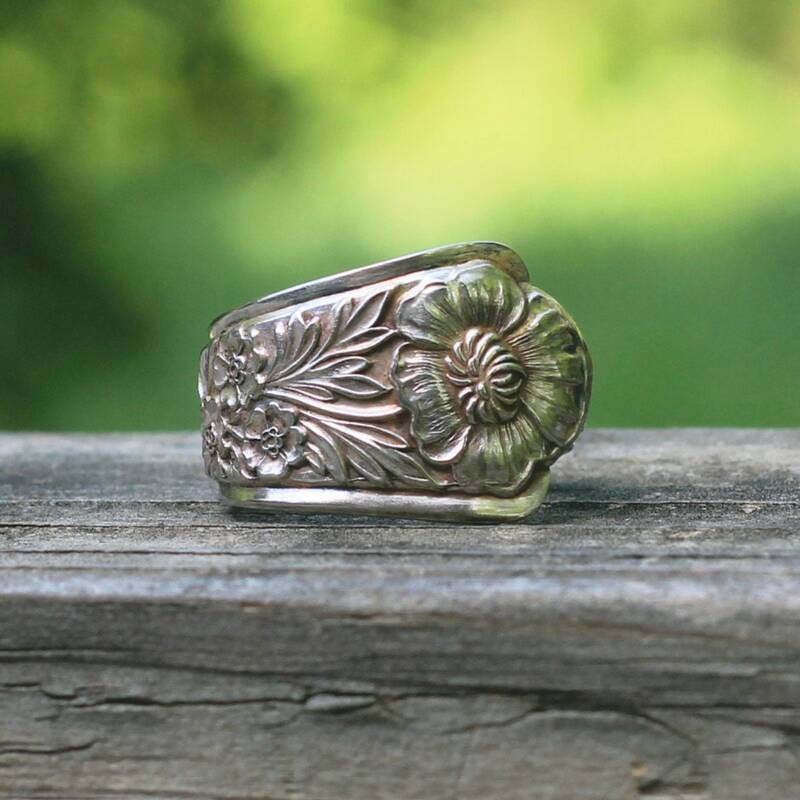 Vintage silver plated spoon ring featuring a beautiful pattern inside and out. Leave your desired size in the notes to seller area when checking out. I can do 1/2 sizes. I love working with vintage flatware and make all my spoon rings by hand using methods I have taught my self. I only use silver plated vintage flatware which means they show some wear,small dings,scratches, or loss of plating. I consider this part of the charm. Really neat piece to wear. The Poppy is amazing.